"In a world where a claim of expertise is often indistinguishable from actual expertise, it's critical as a lawyer to clearly exhibit subject matter expertise to your target market, notes Timothy B. Corcoran, a senior consultant with Altman Weil. One effective method of establishing such expertise, says Corcoran, is with a blog. He discusses the benefits of blogging and also some of the basic issues that can arise, such as how often to post and whether outsourcing is a good idea." 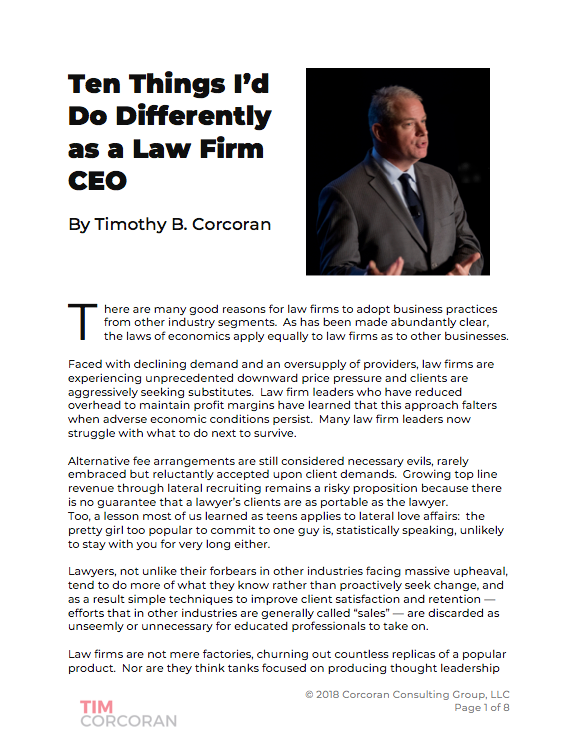 See my article from Marketing the Newsletter reprinted at Law.com here.